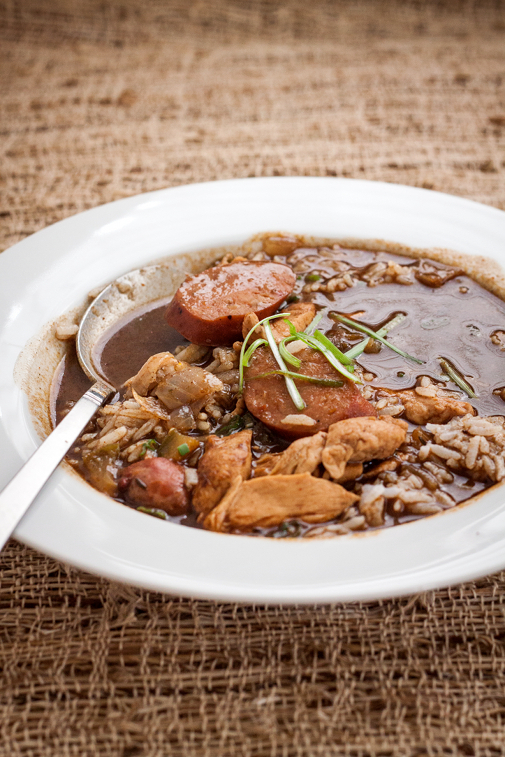 To celebrate the upcoming Mardi Gras, here I'm presenting you some chicken and smoked Andouille gumbo. We were just in the mood for some hearty stew to warm us up, considering it's been raining for a few days here, again. It just so happened that gumbo comes to mind. But here comes the dilemma. 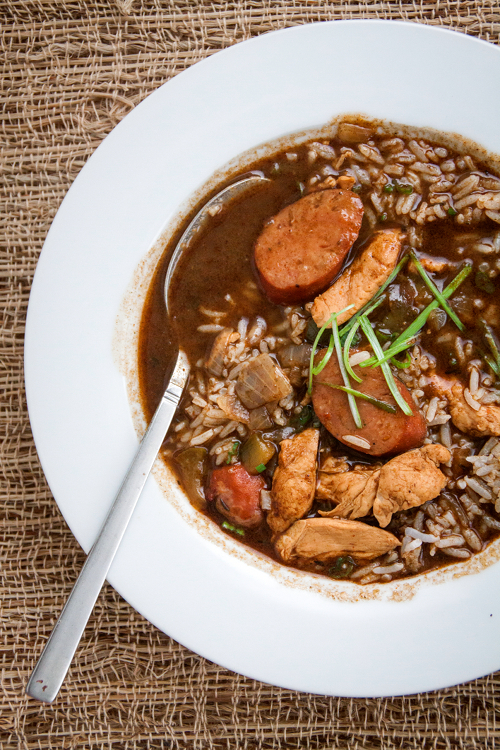 We love gumbo, but we don't love the amount of fat that normally goes with it. I mean, a cup of fat for a cup of flour, that seems like a lot. Browning the flour, or dry-frying, provides a simple solution to the problem. 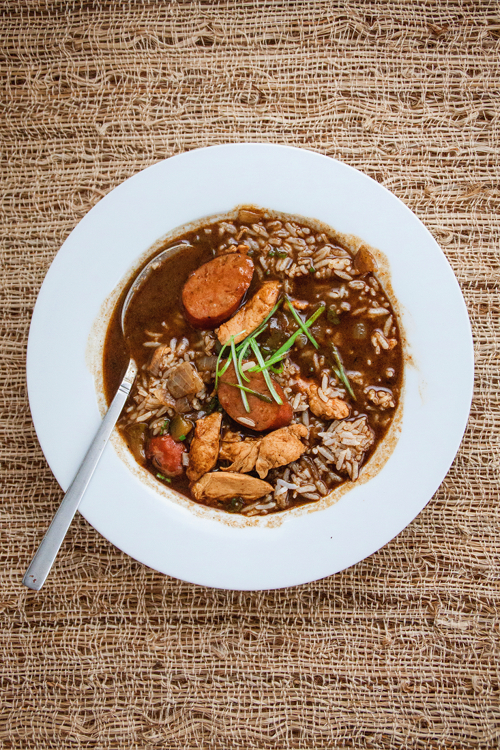 Using only 2 tablespoons of oil, the dish still has nice dark copper color and more importantly, still retains all of the flavors we all love from our beloved gumbo. Place the flour in a skillet. Cook over medium heat, stirring constantly, until the flour turns dark brown. Set aside. Add chicken and sausage into the gumbo. Cook uncovered for another 10-15 minutes, or until the chicken is cooked through. Add gumbo file and mix well. Season with salt. Turn off the heat. Ladle gumbo into serving bowl, sprinkle with chopped green onion. Serve hot with steamed rice.